Another year packed with music has come and gone. Music is a language I can't create myself but it does me good to know that every hour someone out there is humming a snippet of a melody, returning to their seat at the bar with a head full of lyrics that just occurred to them, or tapping out a drumbeat on their leg in the car. People everywhere are trying to get it right, to get the music out just so they can be. I am glad that they do. 2008 was full of fantastic (and varied) music from all corners of the world for me. 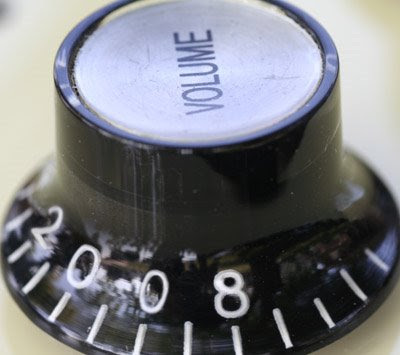 I sometimes feel overwhelmed with the quantity of music and the subjectivity that swirls around the ones that make it vs. the ones that no one ever hears. I wish I'd had more hours to listen to (and properly digest) more songs this year. As it is, these are ten albums (plus two EPs plus one carryover from last year) that affected me on a gut level in the past twelve months. These are the ones I listened to over and over, that knocked the wind out of me and made me glad I have ears. These aren't "the best." These are just my favorites. I've been surprised by the intensity with which I've listened to this album in 2008. I guess it's tapping into the introspective moments of my year as it pertains to "grown-up life," which Caws sings is like "eating speed or flying a plane -- it's too bright." 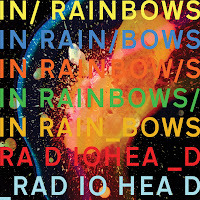 The album cover hints perfectly at the feel of the music; the moment where it's still warm from the sun but the gorgeous pinpricks of light are starting to shine through. 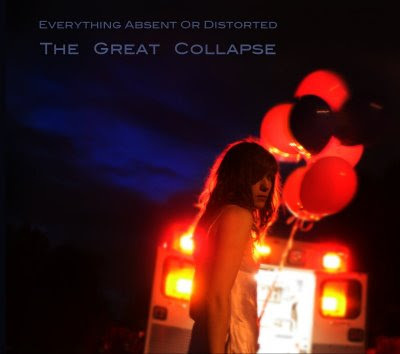 I talked today about the cascades of glory on this album, a blazing meteor from this band that's been around so long. I saw Matthew Caws perform solo last night and he said, "We feel blessed to have a second story," (post-mid-Nineties buzz band). "It's the story we always wanted anyways." I've listened to this album a hundred times this year and it still affects me deeply, makes it okay to be fragile -- and to be on a vector up. 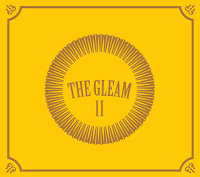 Coming from Scotland with their hearts held out for the offering, these two brothers plus two bandmates have crafted an album that is not for the fainthearted, but excellent for the honest. 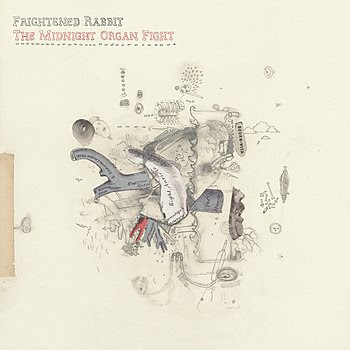 Over gorgeous melodies and with a thick and wrenching Scottish brogue, Frightened Rabbit guttingly dissect the moments of bravery and moments of weakness that go with a relationship ending. Peter Katis (The National) produced this lilting, rocking piece of perfection -- unflinching in its intimacy. 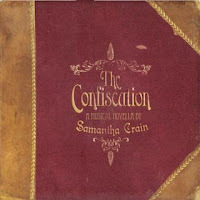 I didn't know when I started 2008 just how much I would need this album. 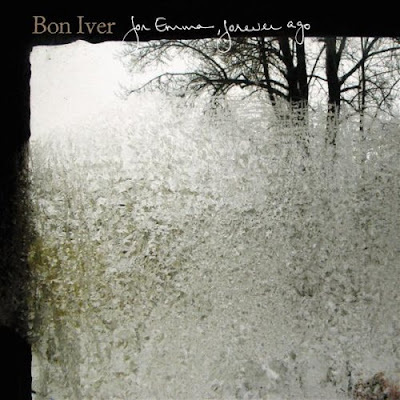 Justin Vernon recorded this achingly vulnerable album in the Wisconsin woods in the dead of cold winter as he recovered from a breakup. The name he adopted means "good winter" in French, and I think the name fits the music as well as that ice-encrusted window on the cover. In winter, things move a little slower, but with more crisply defined edges, and the first time I heard this something was scraped loose inside of me. His music is wrapped in a thin skin but a current thrums powerfully under the surface. This is an album that I am unable to shake. 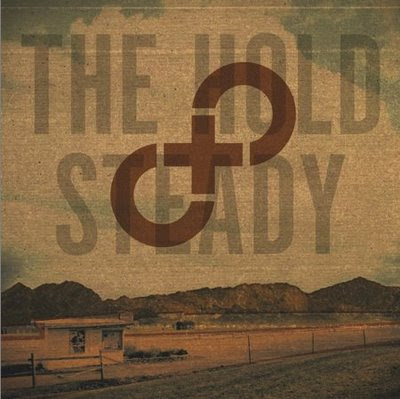 I think the thing that gets me with the Hold Steady, this year or any past year when they've released an album, is that they are unabashed in their belief in rock and roll. Craig Finn is a modern day prophet who flails and explodes with the force of the catharsis of these fantastic sounding songs that they must get out. The lyrics trace some of the most intelligent, evocative stories you'll hear with characters I feel I know by now (they might as well be breathing). This is an immense album, with the pounding piano that crashes across the songs and the brass instruments slicing through. Gorgeously grand and subversively hopeful. If the Hold Steady filter their love for Springsteen through a lens of kids raised on punk and The Replacements, Jersey's Gaslight Anthem play with an urgency and passion of a pre-Born to Run Bruce, young and hungry. Lead singer Brian Fallon grew up in a home four blocks from E Street, and this band is crafting songs that hold up as well when howled out ragged as they do stripped down to their bare acoustic bones. There's a wisdom and sometimes a resignation beyond their years. Delta Spirit was formed in San Diego when lead singer Matt Vasquez was busking loudly by the train tracks and he met with Brandon Young at two in the morning. The honesty and sloppiness that bleeds through at 2am is captured well on this authentic album with a vintage feel. It basks in the warmth of the surf guitars, the singalongs and handclaps and banging on trashcan lids, the tinkly last-call piano over glasses clattering. The cinematic desert beauty and chugging fuzz-rock found side-by-side on this dual album swooped in late in the year to win me over. 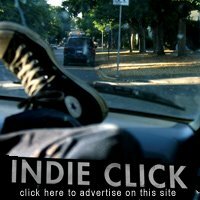 I saw an acoustic video of Will Johnson, who helms both bands, performing "I, The Kite," from an album I'd passed over too quickly the first time around. 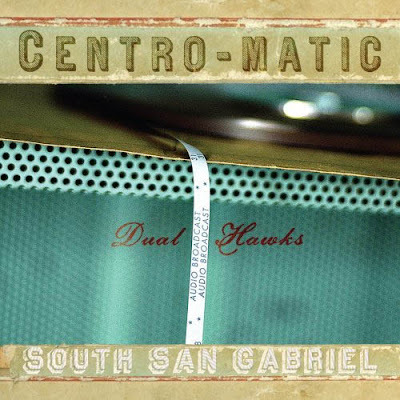 Both bands are Will's and explore different dimensions of his music -- Centro-matic electric like the heat in the air even as the Texas August sun has just begun to rise, whereas the more muted, spacious South San Gabriel has tones of evening and fireflies. This album was written and recorded fast and pure in a handful of days in the studio, and has a feeling of distilled essentials. 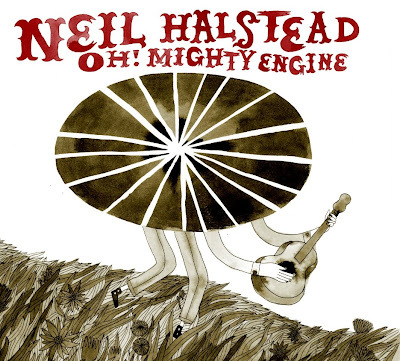 Taking six long years from his last solo release Sleeping On Roads, influential British musician Neil Halstead (Slowdive) comes quietly back with a humble album of acoustic folk melodies that rewards the listener for their patience. This is a slow grower for me, and I find that more hues in the songs are revealed to me the longer I sit with it -- a task I am eminently willing to take on. Halstead sings about trying to get the colors right, and with these unassuming tunes I think he does. This Denver collective does things full tilt. They play with seemingly all the instruments they can find, in order to squeeze the earnest beauty out of every melody and every rhythm. They fearlessly meld incisive lyrics with a resilient hope, like on "Aquariums": "We are aquariums -- left outside, but we hold life and a bright light in our glass walls." With eight official members (and up to 15 on stage) EAOD is a joy to watch, and that joy transmits onto this smart album of sweeping scope. Amidst banjos and casio keyboards, trumpets and pots and pans, this band is ready for a larger stage. Literally. It's as simple as this: Little Joy just makes me happy. Their thirty-minute debut album is short and occasionally rough, it's kitschy and danceable with Brazilian influences. I like the quiet Technicolor flicker of songs like the Portuguese "Evaporar" as much as the jerky fun of "How To Hang A Warhol," and all the shades in between. Binki Shapiro's vocal contributions on this album are especially charming, as she croons out of my stereo like an old-time Victrola. Because I was overwhelmed and ignorant at the end of 2007, and didn't give this my undivided attention until someone sat me down in a darkened room and made me really, really listen to it. And come on Heather. Come on. Also from the excellent Ramseur label, 22-year-old Oklahoman Samantha Crain has Choctaw Indian roots and a dusky earnestness to her alto voice. The five songs here tell a cohesive story (a musical novella indeed) with shimmering, unvarnished truth. LISTEN: Once again this year, I'll be appearing on NPR's World Cafe with David Dye on January 1st to talk about stuff from this list! We have a lot of fun. You should listen (online, or via your local station that carries the show), and tell your mom to listen too. I know mine will be. All great picks...but I'm kinda partial to Penny Racer's A Song A Day I. It barely makes the 2008 cut! Nice. I like your list. That Delta Spirit record is terrific. This is an awesome list. I just wanted to say thanks for introducing me to Bon Iver. I've been listening to it non-stop for a while now. Keep up the good work. 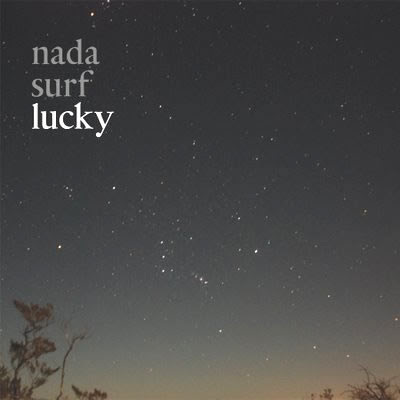 i love the new nada surf, it was a huge improvement lyrically from "The Weight is A Gift". I find myself going back to it and falling in love with different tracks each time. Also, I've become very connected to the new Crooked Fingers album "Forfeit/Fortune" lots of classic rock influence on the new album as well as a mexican flavour and of course some indie rock love. I've never picked up an Eric Bachman record that wasn't Archers of Loaf and truely its an amazing place to start. the first track kicks off with an awesome Springsteen vibe... which I've come to notice you like. Also the lesser-known NaNa Grizol put out a really fun and loveling album titled "Love It, Love It". With possibly some of my most favored lyrics of the year on it. 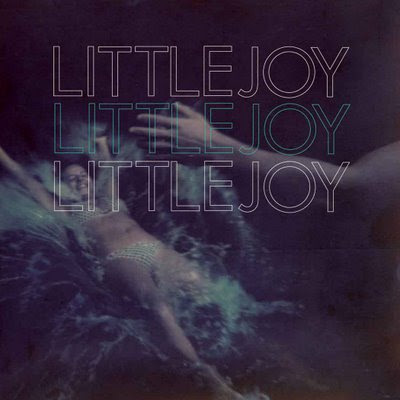 Heard most of these over the year and that Little Joy album gives a lot more joy than the title suggests. 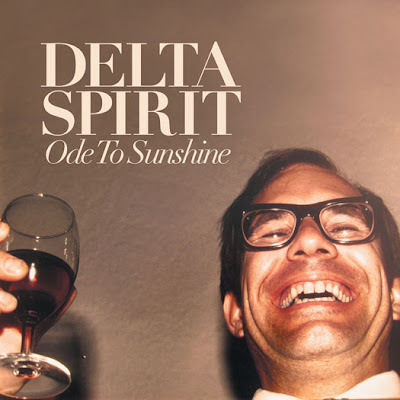 I must tell you, everytime I look at that Delta Spirit album cover, I think it is a picture of Kevin Costner in black rimmed glasses. Solid list! Many of these will make my "best-of" list as well... and the rest will be on my "must-hear" list. My fav of 2008 was "Aquavia" by The Major Labels (which includes Mike Viola and Bleu). I could not stop listening to it for weeks. Check out the track "The Bitter Pill"...great 70's style glam! Great list. Just wondering if you bought any of the albums on the list or were given them as promotions and such. Keep the music coming. Check out my blog. hey kip - most of the albums i get as promos. i bought a few at shows and such, like the frightened rabbit one. i also am a fan of tshirts, posters and other band merch. oh, and pins! really like to buy those pins. horray. Excellent list - thanks. I had forgotten that Lucky was released in 2008, so I'll be needing to edit my year-end list. 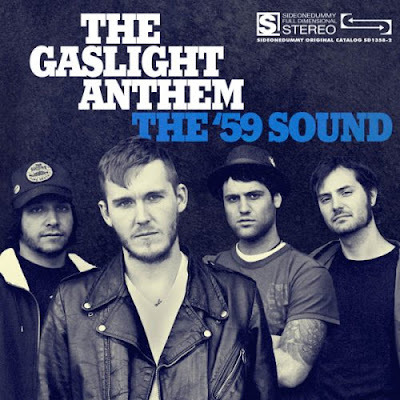 I'm also definitely with you regarding the Gaslight Anthem. My biggest regret of 2008 may well be missing their show in Madison, WI last month, which unfortunately coincided with my vacation. I'll admit to briefly entertaining the thought of flying back from Ireland but in the end opted for pints of Guinness at the Brazen Head. As always - a great list of favorite songs. Some of them have occurred in "Radio Petenyi 2008 only" this year and some are nice surprises for me. All songs from your list are now played by Radio Petenyi! Just bought The Gaslight Anthem, thanks to this list. I sure hope it lives up to your hype! Great Heather, This is an amazing list. I love the new nada surf, it was a vast advance lyrics from The Hold Steady.